In Jan 2011, I travelled to Sri Lanka on business trip. To my surprise, it was truly an experience and I had so much fun discovering their culture. Let me share with you, some of my experiences when I was in Colombo, Sri Lanka. 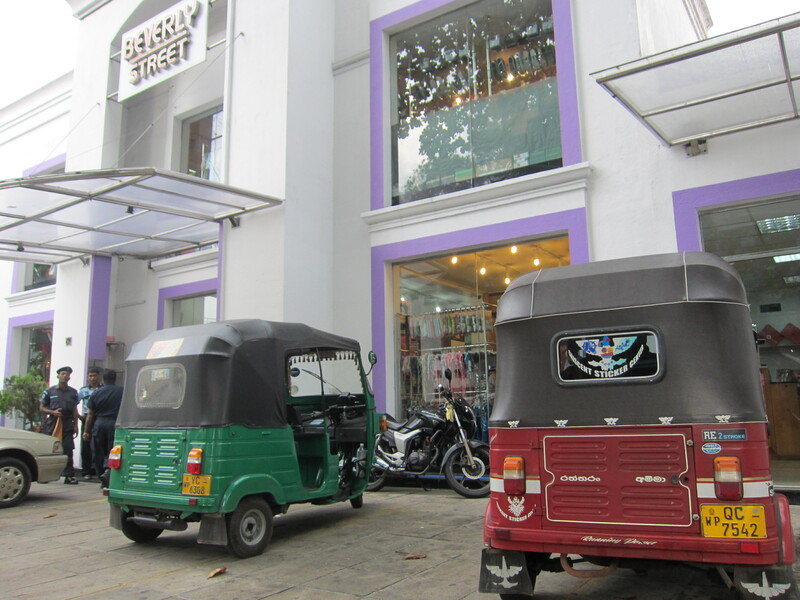 Colombo is divided into 25 districts and every district has various forms of discoveries. I was told if I would plan for a personal trip, “Kandy”, which is an “Uphill Capital” is a place I should not miss visiting, it also is known as Central Province. The other places will be “Ratnapura“ – The City of Gem; “Trincomalee“ – famous for beaches, hot spring and Swami Rock; “Anuradhapura” – The sacred city; etc. Most of the flights to Sri Lanka are night flights except Sri Lankan Air. My advise, it’s either you take Malaysian Airlines or Singapore Airlines. The standard time zone is UTC/GMT +5.30 hours. The duration of flight is usually 4 hours. It is advisable to arrange for airport transfer as “The Bandaranaike International Airportis at Katunayake“, it will take you about an hour just to get to Colombo. Most Sri Lankans drive with a stint of excessive aggression, hence, don’t be surprise if they kept honking, flashing lights and hard braking, as this is their usual scene on the road. LOL! More transport tips for you, it is not advisable to take “Tutu” (3 wheels vehicle) instead, if you need to commute, try calling for cab service, you may contact these cab service company: Kangroo cab or Silvercab and their charges would be less than LKR100. When I went in Jan 2011, the exchange rate for LKR18,000 is equivalent to RM630. 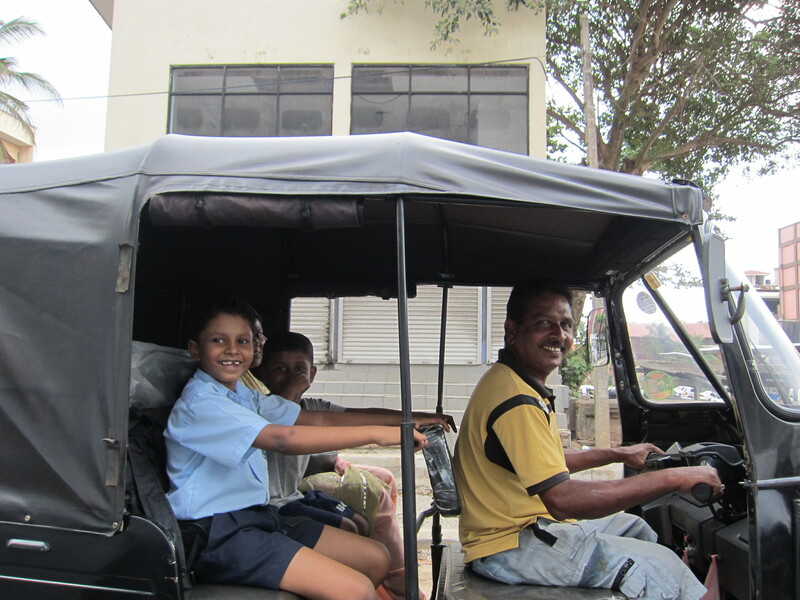 Sri Lankans are warm and friendly. The main language used is Sinhala, Tamil and second language is English. In fact, mostly they can speak fluent English. I was told that their syllabus in school were taught in English. Every year, government will accept only 20 students from each district to join University of Colombo new intakes yearly. For those who are not selected will need to take courses from institutions, colleges or online courses offered from overseas. There are two Sinhala greeting words which I learned during the trip are “Bohome Isstuti” (Thank you very much) and “Ayubowan” (Good Bye). The major religion is Buddhism and others will be Hinduism, Islam and Christianity. In Colombo, you will be able to see many Buddhist statue and temples along the roads as your travel. 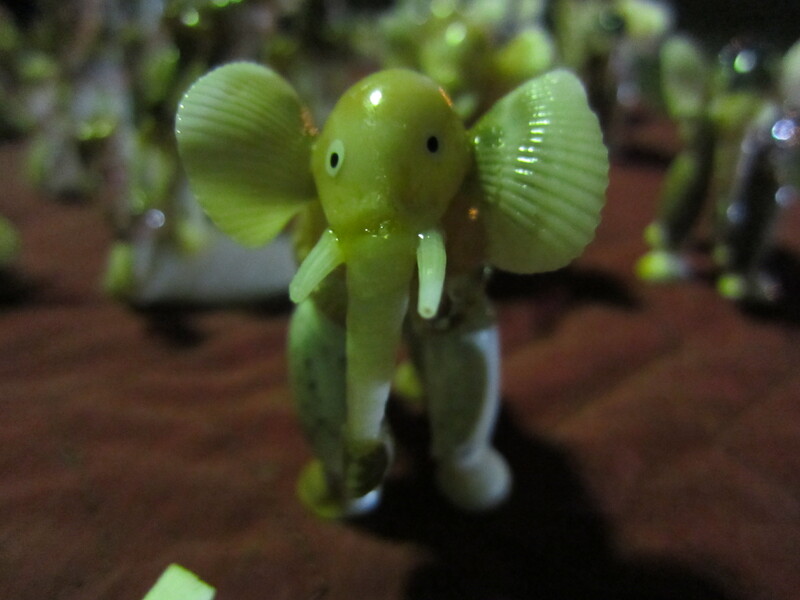 Don’t be surprise when you see an elephant in a Buddhist temple. A friend, who goes to temple few times a week to feed his pet and his pet, is an elephant. And I asked him, what do you feed it? He replied, in the morning I will go to morning market to buy 15 cabbages, sugar canes and a bunch of bananas. Then, he will bring it to temple to feed him. One day, the elephant had waited impatiently for my friend to untie the plastic bag; it actually grabbed a banana and throws it at my friend. I can imagine how cunning the elephant is. LOL! As for sport, Cricket is the most popular sport in most of the cities as well as the rest of the country, and is usually played on the grounds around the city followed by Football (Soccer) and Rugby Union. Sri Lanka is one of the top ten nations that take part in test cricket and one of the five nations that have won a cricket world cup. Cricket is played at professional, semi-professional and recreational levels in the country and international cricket matches are watched with interest by a large proportion of the population. The only retail outlet store which I shopped in Colombo is ODEL. I bought a scarf and the many flavours of Dilmah Tea available. They come with nice packaging and excellent quality as well. I enjoyed the Dilmah tea for my daily breakfast buffet at Colombo Hilton Hotel. I have taken some pictures of teas that I’d tried. 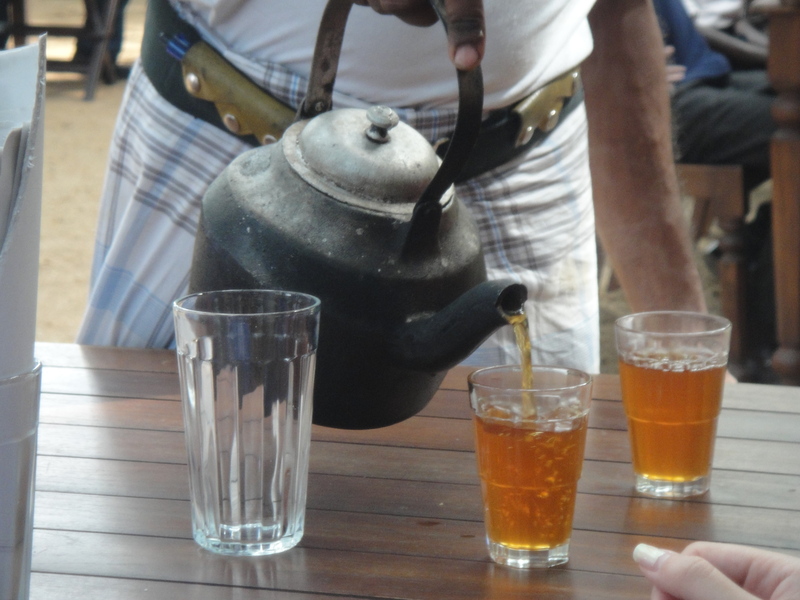 Also, there’s the Sri Lanka tea or better known as “Ceylon Tea“. Can you believe it? There are in total SIX main tea-producing regions. The teas produced in different region and have their own individual characteristics of flavor, aroma, and color. 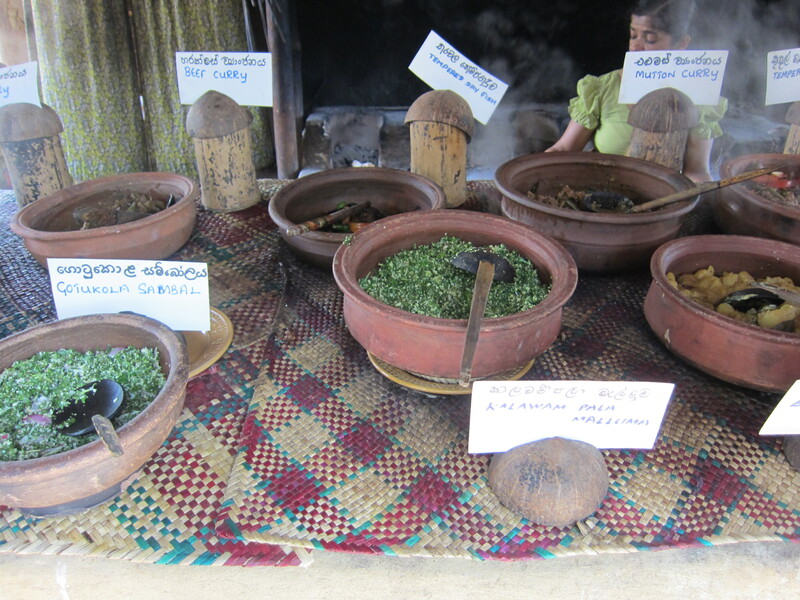 Besides tea, Cashew nuts in Sri Lanka are also a controlled item by the Government, as it was produce by locals. When I bought some, it wasn’t cheap as the demand is high, the cashew nut supply are usually scarce. Therefore, high demand vs low supply, they increases the price but I never regret buying them, as even the spicy cashew nuts is good. 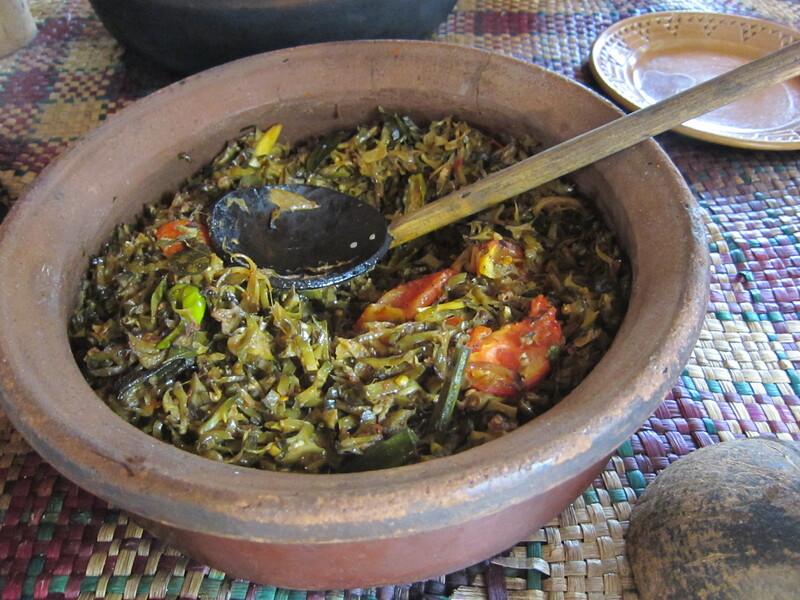 Sri Lankan cuisine are mainly consists of boiled or steamed rice served with curry dishes. 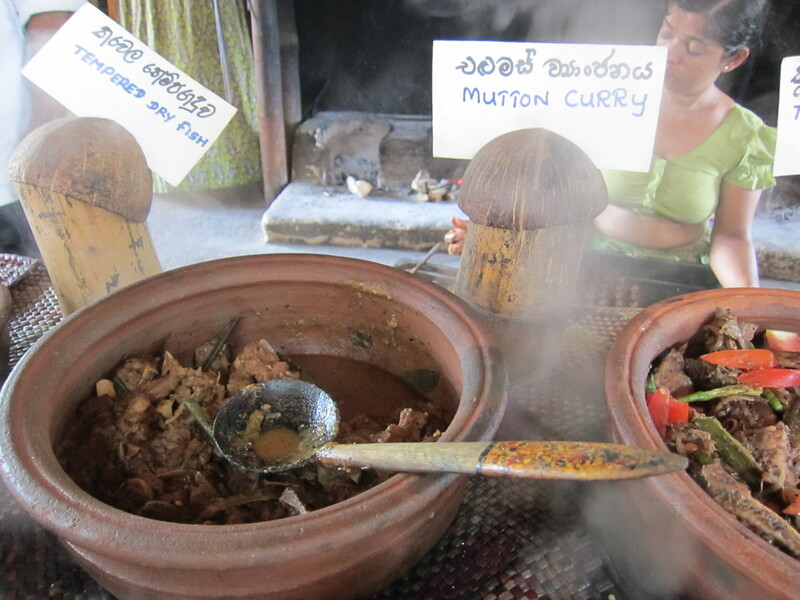 Curries in Sri Lanka are not just limited to meat or fish-based dishes, there are also vegetable and even fruit curries. The cuisines in Sri Lanka shares similarities with the cuisines of South India. Not to forget, my favourite food is “Hoppers”. Hoppers are made from a fermented batter of rice flour, coconut milk and a dash of palm toddy, which lends a sour flavor and fermentation ability. If toddy is not available, yeast is often used. The batter is left to rise, then cooked in a hemispherical wok-like pan. How many types of vegetarian group which you have heard before? Vegetarian includes eggs but not dairy products or vegetarian includes dairy products but not eggs. I think this is the most common. In Sri Lanka, it’s also common to have vegans who don’t consume 2-legged animals, 4-legged animals or non-legged animals, etc. Papayas is something anyone shouldn’t miss when in Sri Lanka and noticed there is two colour types of papayas and the taste is good, it is juicy and sweet. I had a lot nevertheless. 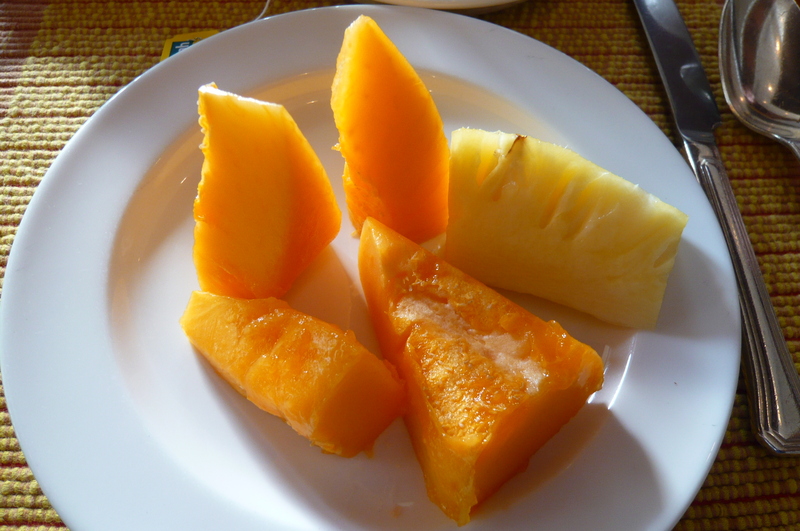 Breakfast in hotel is fantastic, everyday they will serve papaya juice and pineapple juice along with other juices. Yes, it’s interesting isn’t it? The papaya juice is something one least expected as fruit juices. LOL! 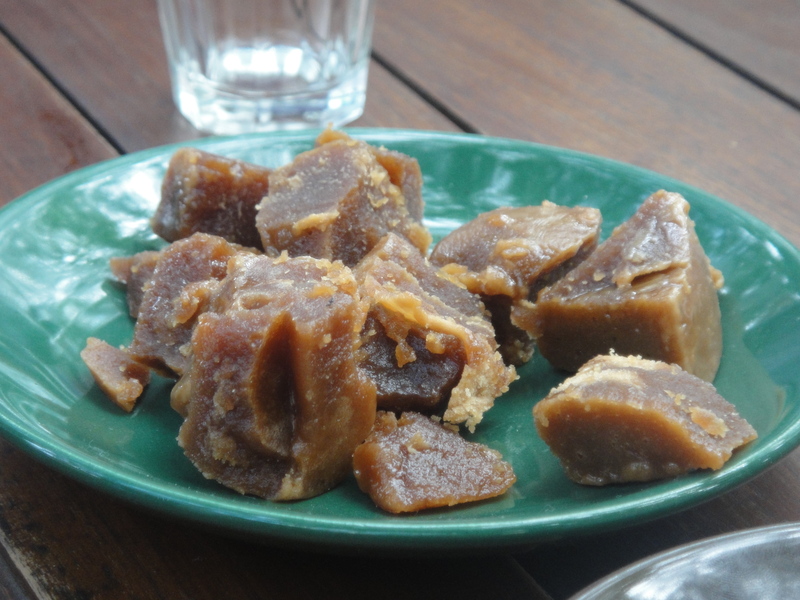 Last but not least, Sri Lankans all time favorite dessert after a normal meal is Buffalo Curd with Palm Sugar. Most of the Sri Lankans loves tea time by enjoying a cup of Hot Ceylon Tea or a cup of Hot Ginger Tea with a bite of palm sugar each time before they sip in some tea.